There are many reasons why you may want to sell your home in Pittsburgh. Perhaps you are thinking of downsizing, or simply want a lifestyle change. Whatever the reason, we buy houses in Pittsburgh with cash so you don’t have to go through the traditional real estate process that involves a lot of paperwork, time, and money. You find a real estate agent, he or she lists your property online and tries to find buyers to purchase your home. The process is time consuming and can lead to disappointment due to many factors such as low appraisals, financing, inspection, and other contingencies. Let’s also not forget about the amount of money that you may need to spend on repairs! Life gets expensive when you are trying to make your home attractive enough to buy. Caymus Realty Solutions knows all about the process, and we seek to make life a bit easier. We are a real estate investment company and we purchase many different types of properties in many different conditions. When we buy houses Pittsburgh, we understand that you have other things to be concerned with other than how many prospective buyers you have. This is why we pay cash for your property as-is, and save you a lot of money on commissions. We buy houses in any condition and can close quickly and on your timeline. Many traditional real estate companies will not take on a home unless it is in excellent condition or has been remodeled. They may refuse to list a property that needs a substantial amount of work for fear of it not selling. We are different. Caymus Realty Solutions accepts homes of all shapes and forms. Whether the property is well kept or in need of tender loving care, we consider it all. We know that situations arise in which a fast sell is necessary, and we will not put you through the elongated process of requiring a extensive inspection before listing your home. Instead, we will pay cash for your property and take care of the selling process to consumers ourselves. This means that you get to walk away with money sooner rather than later. Divorce. If a settlement involves selling your house, come to us to sell quickly so you can move on with your life. Probate. 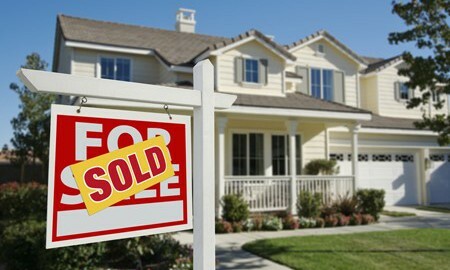 Traditional listings will take too long and family members may get frustrated when the house is on the market too long. Avoid the heartache by choosing our service. Financial Problems. Don’t let foreclosure get the best of you, and don’t rely on just anyone for a short sale. Come to us instead. We will give you top dollar for your sale and ensure that all paperwork is in order so that you will truly be rid of the financial burden. Downsizing. Perhaps you simply want less space now that the kids are out on their own. We will make the selling process easy for you! Caymus Realty Solutions has an abundance of experience in real estate and is sensitive to your needs. We also understand life changes and know that customers do not always have several months on hand to sell and move out of their homes. Whether you are planning to relocate quickly, need financial relief, or have another reason for wanting to sell, we buy houses Pittsburgh. Call us today at (412) 440-8855, and follow us on Facebook!